Repressed on white vinyl and limited to 250 copies. 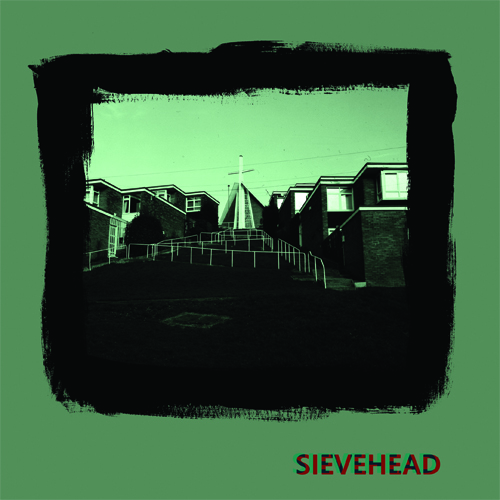 It takes a scene to raise a band and Sievehead are a product of the vibrant hub that is Sheffield's DIY punk community, one of the key cities in a resurgent UK punk scene that shows no sign of slowing down. Here they offer two tracks on the A-side of burly punk rhythms careening and rumbling through swirling post-punk vibes, catchy and insistent, a howl tamed and torn, packed with pain and power, showcasing the same dark propulsive energy that caught the attention of DIY music fans the world over on last year's 'Into The Blue' LP. 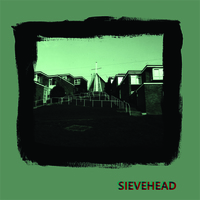 Fans like Pure Gold, alter-ego of Dave Forcier (of the Steve Adamyk Band and Pregnancy Scares) and Tommy T (of the Classical Mishaps), who contribute a remix on the b-side here taking the song Try the Mirror from the LP and skinning Sievehead's vehement deathrock-tinged tumult and bathing the skeleton of the song in unsettling synth minimalism, creating an eerie weave of hisses, pops and echoes that could sit comfortably on an early John Carpenter soundtrack.